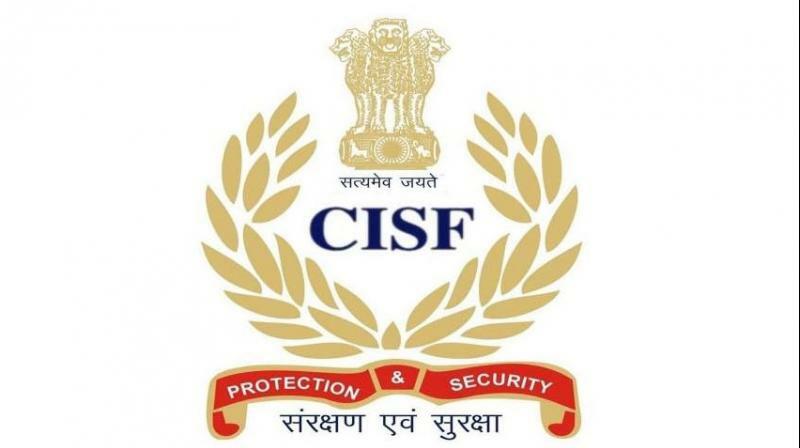 CISF Recruitment 2019: The Central Industrial Security Force is inviting candidates to apply online for the CISF Head Constable Recruitment 2019. 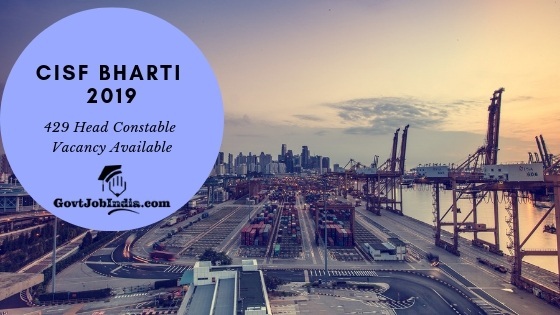 All eligible candidates are requested to send in the filled CISF Bharti Online Application Form 2019 on the official website of the CISF @ cisfrectt.in before the last date on 20th February 2019. The CISF is looking forward to hiring 429 candidates for the post of Head Constable. This is an ideal opportunity for all the aspiring job seekers who are looking forward to securing a government job in the defence sector. Keep in mind that this is an all India recruitment drive. Therefore applications are invited from all over the country. The candidates who get selected have to go through a selection process which will include a medical test, Physical Standard exam and a Written Exam. All the details you seek regarding this recruitment has been provided below. Make sure you read through this article carefully before you apply online for CISF Head Constable Recruitment 2019. All the information you need regarding the CISF Head Constable Application details, Selection Process, Admit Card, Exam Date, and Salary structure has been provided on this page. So keep on reading for all the requirements of the CISF Head Constable Recruitment 2019. The Age relaxation policy will be as per the regulations of the CISF. The details regarding the age relaxation for CISF Head Constable recruitment 2019 has been provided below. 12th Pass from a recognized University of the Indian Government. Candidates must have reasonable computer proficiency with typing speed of 35 words per minute in Hindi and 30 words per minute in English. The CISF Head Constable selection procedure comprises just 4 stages as mentioned below. Please note that details regarding the exam date will be present on our page for CISF Head Constable Admit Card 2019. A link for the same has been provided below. The Application Fees can be paid online through the official website of the CISF @cisfrectt.in. The Application fees can be paid via net banking, credit card or debit card. Candidates need to visit the Recruitment portal of the CISF. Once on the website, you need to register yourself on @ cisfrectt.in. As soon as you have completed the registration process, you can proceed to the Application Form. Make sure that you fill in the application form carefully without making any mistakes. After the application process is completed, you can proceed to the fee payment. The fee can be paid online through net banking, credit card or debit card. You can also pay the application fee offline by means of SBI Bank Challan from your nearest SBI branch. We hope all the details provided here regarding the CISF Head Constable Recruitment 2019 has been of help to you. Make sure that you ensure your eligibility before you apply online for the CISF Bharti 2019. You can ask us all your queries in the comment section below. Our team will assist you in any way we can. All the best!